Private Limited Company registration is the most popular legal structure option for businesses in India. 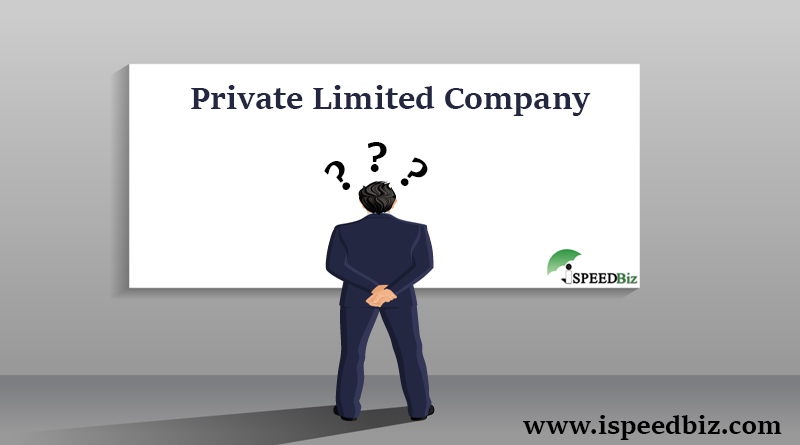 A private limited company can have a minimum of two members and a maximum of two hundred members. The directors of a company have limited liability to creditors. In a case of default, banks/creditors can only sell company’s assets but not personal assets of directors. Start-ups and growing companies prefer private limited company as it allows outside funding to be raised easily, limits the liabilities of its shareholders and enables them to offer employee stock options to pull in top talent. DOCUMENTS REQUIRED FOR COMPANY REGISTRATION? What is the minimum requirement for the number of members in Private Limited Company registration? In case of registration of a private limited company, a minimum requirement for a number of members is 2 ( TWO ). How can become a member of Private Limited Company? -> By applying in writing for membership and their name is entered in the register of the company. Who can become a member in a company? Can a foreign national become a director of a company? Yes, a foreign resident can become a director of a company provided he is allotted a DIN. Can foreign nationals incorporate a company? Yes, foreign nationals can incorporate a company provided he is having a digital signature for filing incorporation documents and annual compliance of a company. What is minimum share capital required for registration of a company? There is no minimum requirement of share capital for registration of a company. Is it necessary to obtain DSC for all the directors of a company? What is the minimum requirement for the number of directors in a company? A minimum number of two directors is required for registering a company. What points to keep in mind while drafting MOA of the company? -> Clarity should be provided with respect to the office of RoC under whose jurisdiction district of the state falls. -> Main Object Clause should cover maximum possible activities as a part of the main object providing the clarity for the main business activities to the outsiders dealing with the Company. -> Ancillary and incidental object clause do not include profit-making or revenue generating activities. It generally includes seeking mandatory registrations, bank accounts, marketing and business promotion, staff welfare, borrowing powers, the power to take-over new business, merger & amalgamation empowerment of the Company. -> Other objects clause is entirely different from those in which company is dealing with and will include those in which it proposes to deal anytime in future. It is not mandatory to have Other Objects in the Memorandum of Association of the company. What other things to be kept in mind after incorporation of a private company? -> Telephone number, e-mail id, website address. Is it mandatory for a company to keep its documents records, registers and minutes in electronic form? It is mandatory for every listed company or a company having not less than one thousand shareholders, debenture holders and other security holders, to maintain its records in electronic form. Can a company have two Managing Directors? A company may appoint or employ a person as its MD if he is the MD or Manager of one and not more than one other company with the consent of all directors present at the meeting.